Early last week Justin Casquejo -- a 16-year-old Jersey kid -- slipped through a 1-foot opening in a Ground Zero fence, rode an elevator to floor 88 of the unfinished 1 World Trade Center, hoofed it up to the 104th story, sneaked past an inattentive security guard, proceeded to climb the tower's antenna and tweeted his boldness to the world. Quite a prank? Sorry, but no. This can only be regarded as a stone-cold, deadly warning to the Port Authority Police Department, the NYPD and anyone else who wants to avoid another attack on one of the most famous terrorist targets in America. It's an epic fail for both police agencies. 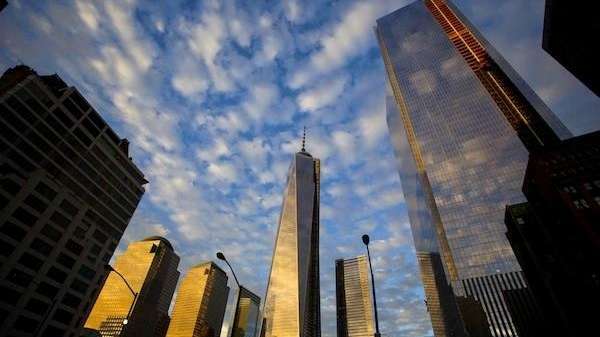 The World Trade Center site has been attacked twice since 1993 and remains a primary terror target. The NYPD has mobile towers trained on the gates near construction entrances. It positions officers in radio cars at strategic points in the area. It has blocked off numerous neighborhood streets leading directly to Ground Zero and it stations cops with tag readers throughout the district. At the same time, the PAPD serves as high sheriff within the Ground Zero fences, where roughly $20 billion worth of construction is taking place on land the Port Authority owns. It's one of the largest single projects in the world -- including three massive office towers, a new signature PATH station and the long-awaited 9/11 museum. And no one on the site thought to stop Justin Casquejo in the early morning hours Sunday before last? Our hope is that the Port Authority's widely respected Joseph Dunne and the NYPD's highly successful William Bratton -- back for another tour as commissioner -- can work out a way to tighten procedures and strengthen coordination between two agencies that have a long and ugly history of invidious rivalries. The NYPD is in charge of all turf outside the WTC site. The PAPD is in charge of all turf inside the perimeter. They must build trust. They must get along. They must share what they know. And they must demand vigilance from anyone working at the site. We've had our warning.